Cleaning molds for plastic and rubber technicals components parts and for plastic molding with injection or compression system. Many serious problems are faced by those working in the aluminium foundry sector. The noise and manual adjustement and maintenance are another addition to the already heavy work of those working in foundry and pressure die casting. Dangerous situations due to the use of carcinomous substances and corrosive acids, hot diesel oil, improperly handled rags and rasps, can be solved with the use of ultrasonic machines for cleaning all the pieces, moulds and cutting dies used in the aluminium industry in just a few minutes without the need to spend time in disassembly and manual operations, removing all types of residue and pollutant: rust, release agents, oil, grease, graphite, metal residues, limescale encrustations, aluminium burrs and crusts, oxidising agents, machining and polishing pastes, paints and pigments. ULTRASUONI IE specialising in cleaning and industrial ecology, has been working in this field for many years, especially in the pressure die casting of aluminium and special alloys for cleaning of precision pieces and their moulds and for the treatment and filtering of contaminant liquids after production. The installation of this type of machine provides a significant series of advantages in terms of economy and quality: pieces, moulds, cutting dies, parts and filters of moulds always clean, non-existent manual disassembly and adjustment operations. The possibility of re-using personnel for the presses, elimination of problems due to impressions ruined having been subjected to manually scraping off metal and carbon residues, limitless durability of the mould, improved organisation of production and maintenance departments and mould store, reliability in quality control and delivery terms, earth-friendliness and worker safety, qualification of the production cycle and end product quality. Ultrasuoni Industrial Engineering is professional engineer in ultrasonic molds cleaning and degreasing, an european leader producer of ultrasonics industrial cleaners machines. The washing machines are constructed with capacities of up to 6,000 net litres and disigned with tailormade features. 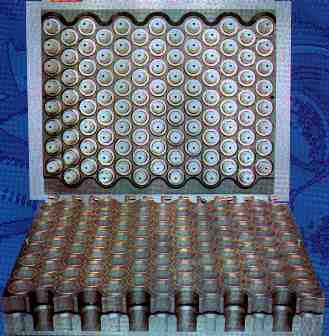 In addition, the company compounds a range of earth-friendly specific detergents for ultrasonic washing. Also important are the disposal and recovery applications developed by the company which supplies accurate technical documentation in accordance with the norms in force. These ecological systems heve enabled various companies to re-use water in a closed circuit, thus avoiding wastage and the need to refer to disposal companies also for dry residues. Aluminium foundry for automotive industrial sectors: perfect clean and degreasing moulds in a few seconds, with ours ultrasonics implants. 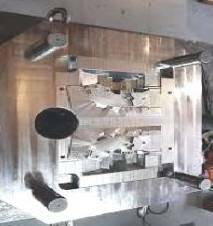 Big moulds for injection Rubber products and Plastic articles : fast and perfect clean with ours ultrasonic cleaners. 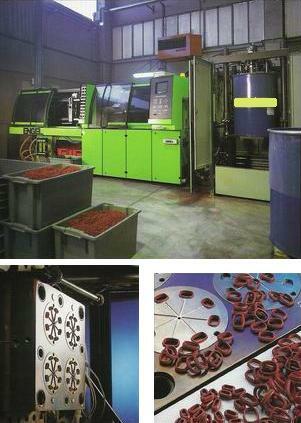 - Moulds for plastics materials (injection) in Cernusco Milan - Italy. - Mold foundry alumium injection - Vignate Milan - Italy. - Mold plastic for catering of a famous society - Milan city Italy. 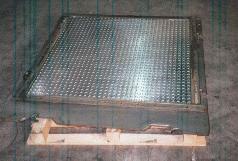 - Pirelli molds for rubberfloor with dimensions 1300 x 1300 mm.